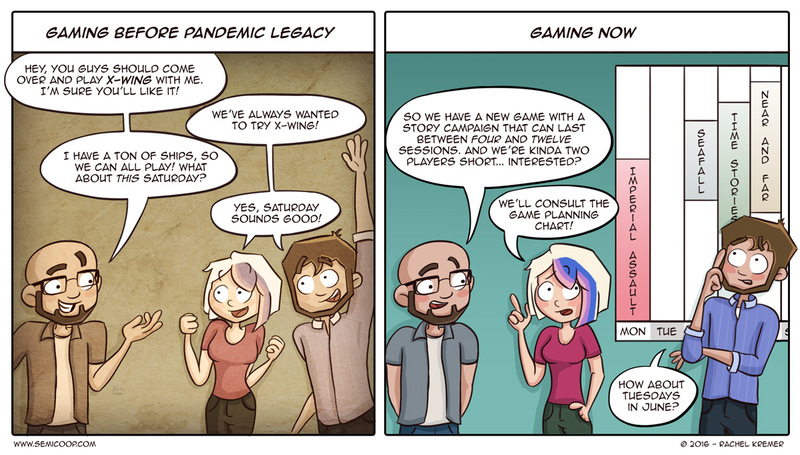 Since the success of Pandemic Legacy there has been a noticeable increase of games with a (story) campaign. What , campaign games? Yes, those are games that have a story line which players can complete in a certain amount of play sessions. Of course there were other campaign games before Pandemic Legacy, like Risk Legacy or Mice and Mystics, but the popularity of campaign games have sky rocketed since Pandemic Legacy spread its virus over the globe. Speaking of campaign games: Near and Far! We’re psyched about the fact that this was announced and will be a Kickstarter project in the (hopefully, near) future. We simply love Above and Below and can’t wait for an even more story driven game that takes place in that same beautifully illustrated world. And a little bird told us that the extra encounter book that was only available through the Above and Below kickstarter will be available as a stretch goal. Dubble win! I do hope the little bird wasn’t lying. Are you currently playing a game with a story campaign (or maybe even more than one)? Which one(s)? The recently released Road to Legend app for Descent 2.0 has made that campaign system a lot easier to pull out and play, even for low-number groups and solo-players. T.I.M.E Stories. We play a scenario about once every 6 months, because one of our group moved to Scotland. Sherlock Holmes Consulting Detective. We played the first case long long ago with our T.I.M.E Stories group, waiting for a scenario to come back in to print. And now we don’t know with whom to continue. Arkham Horror LCG. 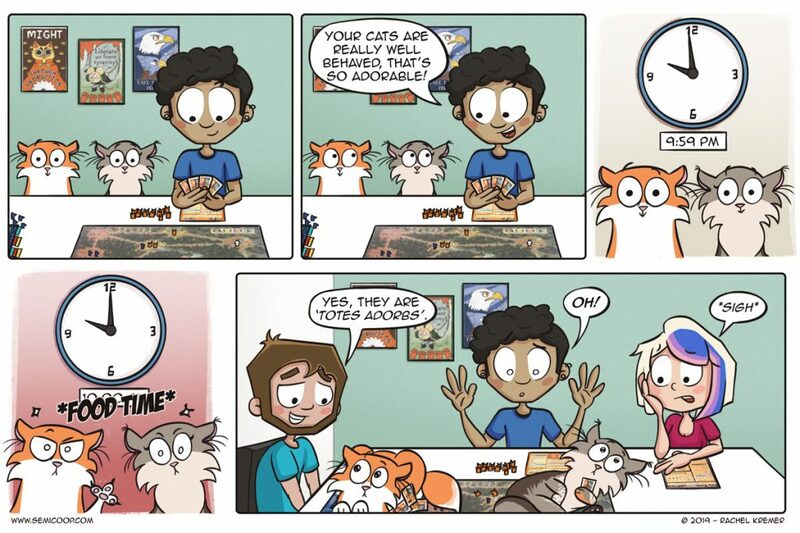 Me and my husband play with the two of us, so it’s easier to get to the table, but still doesn’t happen often. It’s hard playing campaign games and yet there are still 5 campaign games on my wishlist… better not get all of them.